This is no lame horse, it’s hopped to the hilt – great for those of the hop oc-colt. Be sure to amble up to the bar and grab yourself a glass or canter to the fridge to get a bottle to bring home. Aside from terrific pun material this is a great tasting local IPA - brewed using locally-grown hops and malts. 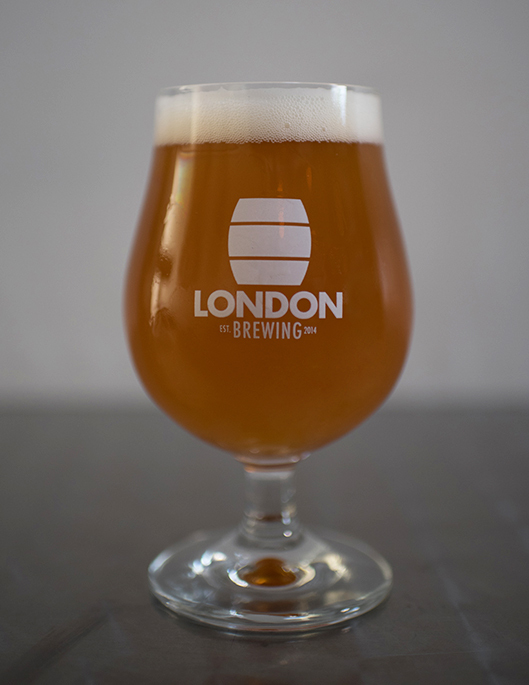 This was the first IPA brewed by London Brewing; we waited for the right time and the right hops and were happy when that time came. This description should be better but I was too busy horsing around. An IPA with a more full-bodied mouthfeel than standard New World IPAs, although traditional in the presentation of hop flavours throughout with a slightly bitter finish.